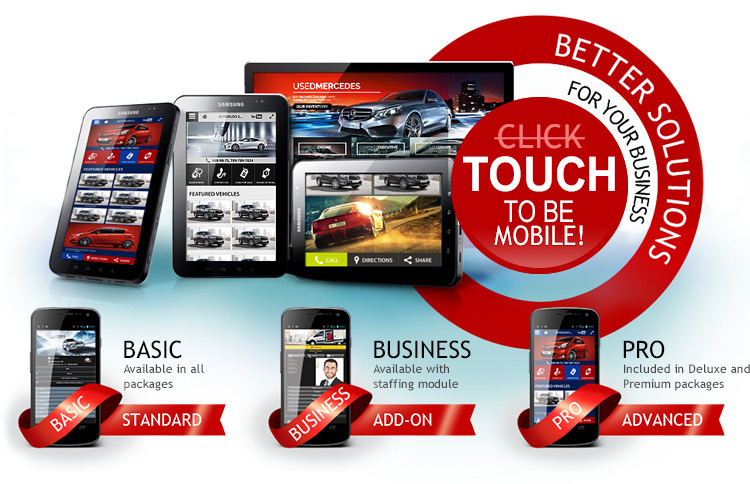 Mobile Car Dealer Websites Redefined! Mobile devices are quickly become one of the most utilized means by which consumers shop for a new car. Motorxloo has always been at the forefront of automotive mobile website design and we are proud to announce we have taken car dealer mobile websites to a whole other level. Our mobile websites work on all devices and are compatible with all major smartphone platforms such as OS, including Android, Apple and Windows. Since each mobile user is unique, Motorxloo's customized website would also adapt and cater to each user with specific client requirements and preferences. We now offer our dealers a fully dynamic, customizable mobile platform that is designed to keep customers informed and engaged throughout the information gathering phase of the buying process while simultaneously encouraging customer to interact with the dealership thereby enhancing the conversions. Map feature syncs with Google Maps, MapQuest, Apple Maps and more. Sync with your YouTube Channel provides access to vehicle videos. Customize which opt in/lead conversion forms are visible to the consumer. Multiple layout, navigation and color options. "Click to Call" icons make it easy for customers to contact your dealership. Copyright 2019 Motorxloo. All Rights Reserved.